Copyright: © 2013 Sun Z. This is an open-access article distributed under the terms of the Creative Commons Attribution License, which permits unrestricted use, distribution, and reproduction in any medium, provided the original author and source are credited. Case reports are considered to be brief reports describing an episode of clinical case or a small number of cases. They may describe new or uncommon diagnoses, unusual outcomes or prognosis, new or unusual imaging findings, new or infrequently used therapies and side effects of therapy not previously discovered in clinical trials [1-6]. Case reports may represent the first line of evidence leading to the evaluation, quantification, and confirmation of a clinical or an experimental observation. For many doctors and other healthcare professionals, writing a case report represents the first effort at getting papers published in medical journals and it is considered a useful exercise in learning how to write scientifically due to similarity of the basic methodology. Although case reports are valuable in both research and education, they are considered the lowest in the hierarchy of evidence in the medical literature. In the hierarchy of evidence-based medicine, meta-analysis and double - blinded randomised controlled trials are placed at the pinnacle of research and these types of articles are most likely to increase the journal's impact factor. Most institutions and authors are now aware of the impact factor of journals since impact factor is one of the important measures used for evaluating a journal. Case reports are infrequently cited and therefore, publishing case reports is likely to reduce the impact factor . The limited page space within a journal tends to be dedicated to original or experimental studies which have a higher impact on the journal’s impact factor, unlike the diminutive effect of case reports [8,9]. This has led many editors to remove case report sections from their journals . Despite these limitations, case reports and studies/series have a high sensitivity for detecting novelty and therefore still remain one of the cornerstones of medical progress . Case reports may create a hypothesis that stimulates further research, and as a result subsequent steps to deal with a dilemma may be recommended or undertaken [12,13]. The Lancet suggests "case reports are intended to inform, entertain and inspire. Present a diagnostic conundrum, and explain how you solved it. In your discussion, educate the reader". Therefore, case reports provide valuable sources of new and unusual information for clinicians to share their anecdotal experiences with individual cases, make others aware of unusual presentations or complications, and deliver the educational and teaching message. 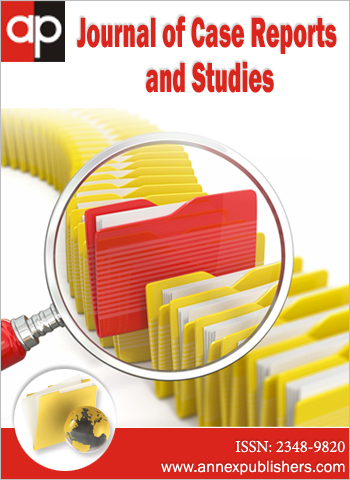 The Journal of Case Reports and Studies (JCRS) is a new peer-reviewed, open access, and instantly updated online journal which publishes case reports/case series, brief reports on clinical and laboratory observations, clinical briefs and advances, letter to the editor, photograph/radiograph and ECG of the month regarding all disorders and diseases of all medical specialties. Researchers are encouraged to fully utilise the JCRS as a platform for publishing their interesting cases and sharing research experience with colleagues from different disciplines. The aim of JCRS is to encourage the publication of recent data by providing a platform for reporting of distinctive, unusual and rare cases that enhance our understanding of illness method, its identification, management and clinic-pathologic correlations. We believe that young researchers will greatly benefit from case reports and studies published in the JCRS, which serves as a driving force of case report publications. 1 Frontera WR (2012) Scientific research and the case report. Am J Phy Med Rehabil 91: 639. 2 Ozcakar L, Franchignoni F, Negrini S, Frontera W (2013) Writing a case report for the American Journal of Physical Medicine & Rehabilitation and the European Journal of Physical and Rehabilitation Medicine. Am J Phys Med Rehabil 92: 183-6. 3 Sun Z, Lawrence-Brown (2009) CT virtual endoscopy and 3D stereoscopic visualisation in the evaluation of coronary stenting. Biomed Imaging Interv J 5: e22. 4 Setiawati R, Dimpudus FJ, Sun Z (2012) Chondroid lipoma of the right thigh: Correlation of imaging findings and histopathology of an unusual benign lesion. Australas Med J 5: 355-8. 5 Zhonghua S, Al-Naami A, Liaqat AK (2012) Perforated duodenal ulcer associated with anterior abdominal abscess: A case report. Australas Med J 5: 14-7. 6 Petrusa ER, Weiss GB (1982) Writing case reports: an educationally valuable experience for house officers. J Med Educ 57: 415-7. 7 Moss P (2008) Whither the case report? J Infect 57: 93-4. 8 Moed HF, Van Leeuwen TN (1995) Improving the accuracy of Institute for Scientific Information's journal impact factors. J Am Soc Inf Sci 46: 461-7. 9 Abu Kasim N, Abdullah B, Manikam J (2009) The current status of the case report: terminal or viable? Biomed Imaging Interv J 5: e4. 10 Warner JO (2005) Case reports--what is their value? Pediatr Allergy Immunol 16: 93-4. 11 Vandenbroucke JP (2001) In defense of case reports and case series. Ann Intern Med 134: 330-4. 12 Jenicek M (2008) Clinical case reports and case series research in evaluating surgery. Part I. The context: general aspects of evaluation applied to surgery. Med Sci Monit 14: RA133-43. 13 Gillman PK (2006) Extracting value from case reports: lessons from serotonin toxicity. Anaesthesia 61: 419-22.